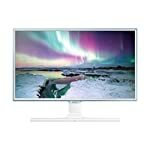 Samsung describe the U24E850R as a 24″ Professional UHD Monitor with multi-tasking functionality. And it also has FreeSync so perhaps they are referring to professional gamers, or do they just understand that even professionals need some game time when the evening comes round! This forms part of the ‘8 series’ and comes in a couple of other sizes too. 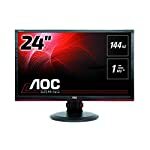 The U24E850R is a 4k screen capable of displaying 3840 x 2160 pixels at once. Some might say that such a high resolution is wasted on a 24″ display but whether you agree with that or not you will get a very high quality crystal clear image. You will need a good graphics card to get decent gaming performance but we’ll assume you own a top line AMD screen already, or at least your thinking of buying one. Why AMD? Because to take advantage of the FreeSync technology you’ll want a compatible card which, right now, means the AMD range. But perhaps in the future other manufacturers will support the open standard too. The Samsung has clear conservative lines and a straightforward black finish. The bezel is neat but not the thinnest I’ve seen. This does indeed have a more professional look compared to some of the “gamer” monitors which personally I prefer – but each to their own! The monitor doesn’t require assembly and comes ready to go. The stand offers the full range of adjustability so you can position it just where you need it. You get HDMI and DisplayPorts to choose from, a USB 3.0 hub is included and for sound you are limited to a headphone socket, no built in speakers on this one. The U24E850R featuers a PLS (Plane to Line Switching) panel, essentially Samsung’s own answer to IPS, designed to overcome the limitations of traditional TN panels. You’ll find excellent colour reproduction across wide viewing angles. The out of the box colour calibration is also excellent, professional reviewers have tried to improve on it but have conceded there is little more they can add! Samsung are aiming this screen at professionals looking for an amazing image. To that extent, this is arguably not a gaming monitor, but it does come with FreeSync and it is does perform very well. 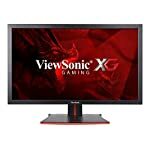 Perhaps you might be able to find a cheaper alternative if you are just looking for gaming performance but if you are looking for a high quality screen for work too then this might just be what you are looking for. We give the Samsung U24E850R a 5 out of 5 rating. Want to know what existing owners of the monitor think? You can read real user reviews here. 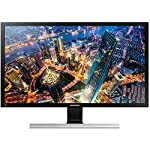 Should I buy the Samsung U24E850R? A well priced 4k screen with FreeSync capability, excellent colour reproduction and a beautiful image makes this a good choice for work and play. If you are having some doubts about this purchase then why not read some real owner reviews and see what other buyers think. Samsung : Official page. Check the specs, download the manual and software.. Welcome to the Samsung U24E850R FAQ. This section attempts to answer common questions you may have, please get in touch if you have any more queries or if you think our answers need updating. 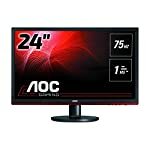 Does the monitor have built in speakers? No, this monitor does not have built in speakers. Time to get your headphones out, or better yet, link up to the Hi-Fi!